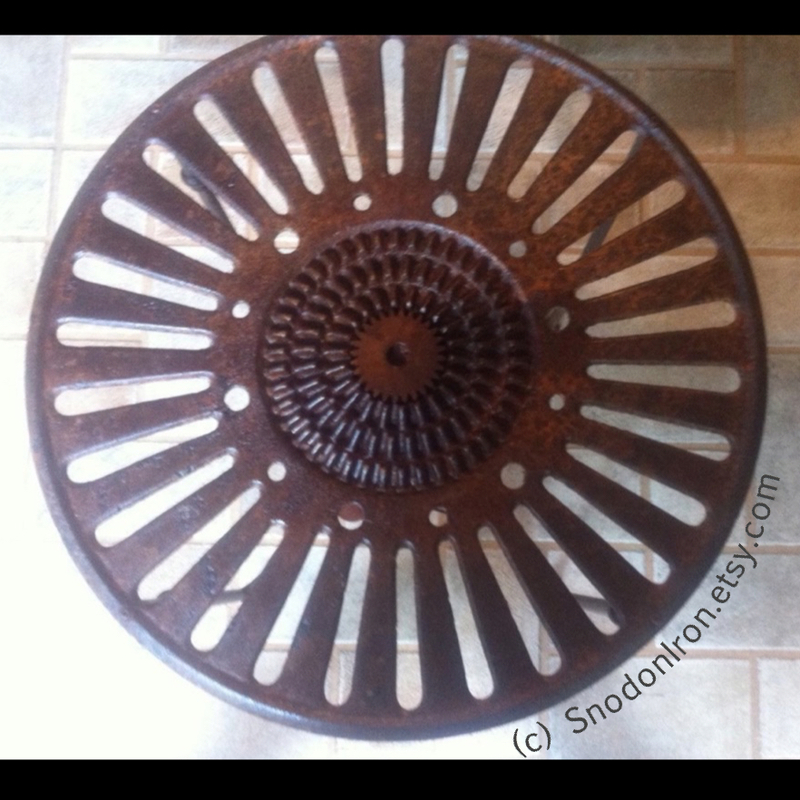 Mark and Lori Pressley of Snodon Iron repurposed vintage farm equipment into this cool industrial table. It makes for a beautiful patterned mandala design, don’t you think? Vintage Industrial Side Table from Farm Equipment without glass. Table top was part of very old farm equipment …Estimated to be at least 100 years old. Legs made from old reclaimed fence/gate material. Rusty patina preserved with a clean, wipe-able finish. When we are not enjoying the quiet of the countryside, we love to find and collect artifacts which others might call junk. Designing, welding and fabricating in a process unique to each piece, we recycle those items into something new. Thanks for visiting our shop and taking a look around. View more of their unique furniture via their Etsy shop.